On a delta cradled in a valley through which seven rivers flow sits the city of Hiroshima. A bustling port town prior to World War 2, the atomic bomb dropped by America on August 6th, 1945 in flash rendered the landscape into a mass of ash, rubble, and death. The rivers however, remained. These ribbons of water cut through the irradiated desolation as they silently flowed into the sea. 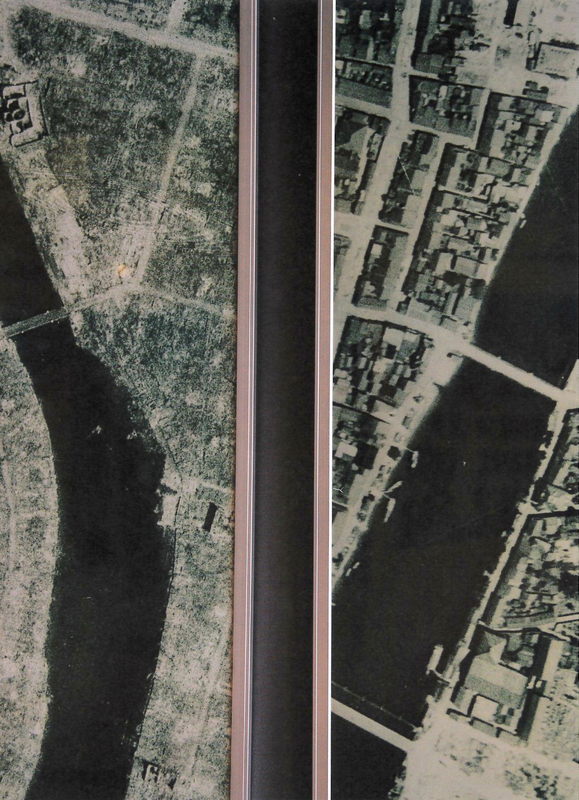 The attack and its aftermath, the modern defining moment of the Hiroshima's history, continues to inform and affect the city, one since reborn as a symbol of the possibility of peace arising from the destruction of war. Photographic investigations and stories regarding the effects of the attack have been instigated by a variety of photographers over the past seventy years. Here Goes River by Aya Fujioka is an addition to this theme. A native of Hiroshima, her work stands separate from traditional rote photojournalism by way of a sensitivity in which only the eyes and lens of one who was raised in such a place can demonstrate. Fujioka's snapshot approach concerns itself less with morals or instruction for the future as it does suggest the elements of the city which reverberate its past in the present. Images of life, remembrance, mundane modernity, and innocence orbit the Atomic Bomb Dome- a structure and totem which acts as the nucleus of the series. All the while, the seven rivers flow through the pictures. Fujioka also evokes other rivers in her city- rivers of humanity in forms of tourists, of citizens, of shopping arcades, of Hiroshima's web of trolley cars in which its citizens ride. Her rivers are a flow of connections between individuals, society, of life and death. The resulting book is a moving river of moments, of photographs.